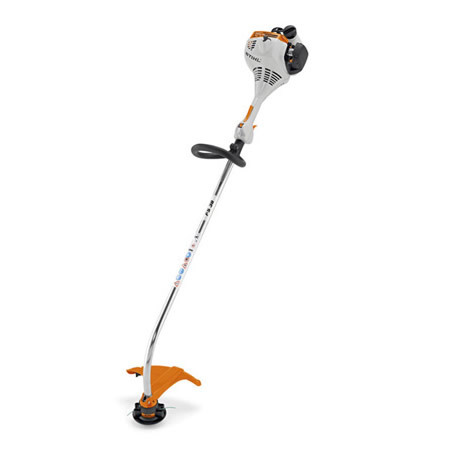 This high-grade Japanese-engineered straight-shaft line-trimmer offers the sort of build-quality and cutting-performance that are essential for the more demanding domestic gardener. 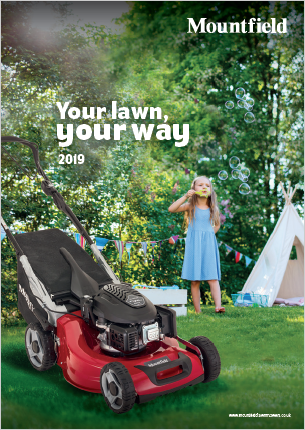 It’s driven by a beefy 24c two-stroke engine, power from which is transmitted to the cutter-head via a rigid drive-shaft that’s mounted-on ball-bearings. This works to optimise torque delivery, while also helping to maximise the machine’s working-life. 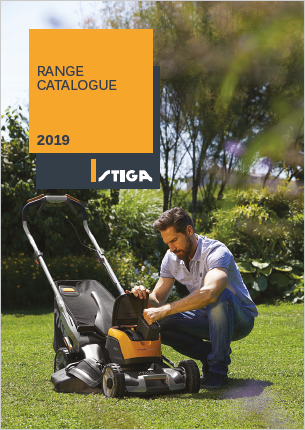 A delight to work with, the Tanaka TBC-2390 Line-Trimmer is ultra-lightweight (3.6kg) and is supplied with a comfort-enhancing single-strap shoulder-harness. The provision of a compact ‘loop’-handle means you’ll have no trouble operating in tight spaces. 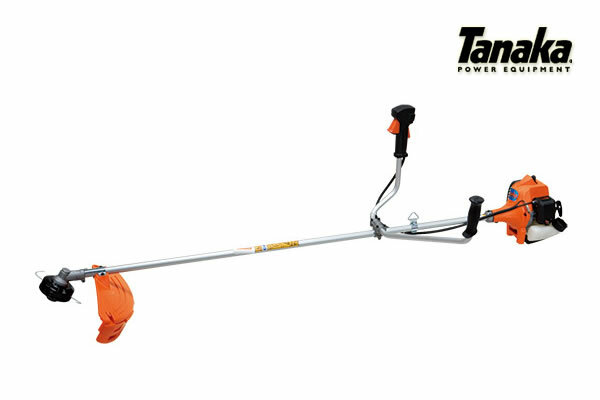 With the purchase of the relevant accessory, the Tanaka TBC-2390 can be turned into a hedgetrimmer (TPH-200) or power-pruner (TPS-200). 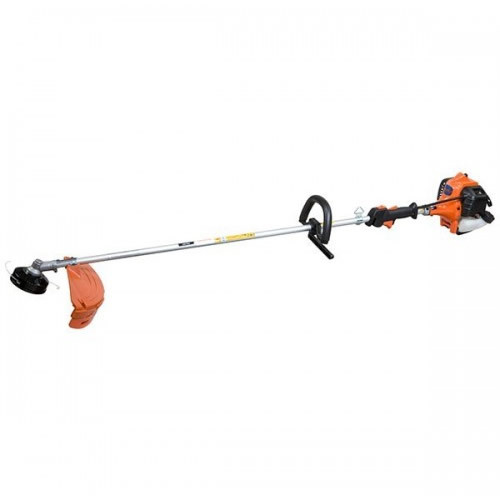 Convert the Tanaka TBC-2390 Grass-Trimmer into an articulating hedgetrimmer with this optional attachment. The Tanaka TPH-200 has 55cm double-sided, dual reciprocating blades and a heavy-duty gear unit. 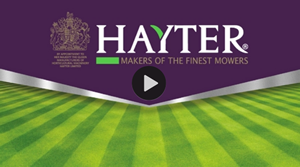 The blade pivots through 130° and the attachment weighs just 1.5kg (combined weight with line trimmer just 5.1kg). The R.R.P. of this attachment is £259, but it’s available from us for just £199 when purchased with the Tanaka TBC-2390. 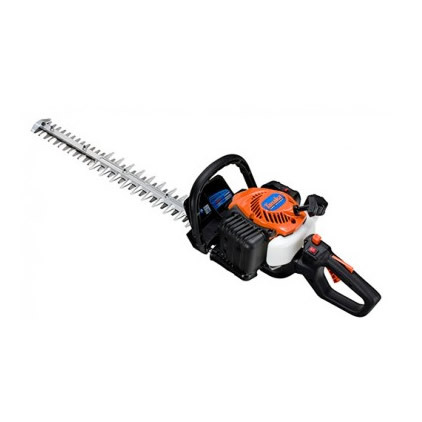 Also available is an add-on chainsaw pruner attachment for lopping off branches and pruning back thick growth. The normal R.R.P. for this item is £209, but as a special offer, you can purchase this attachment from us for only £169!